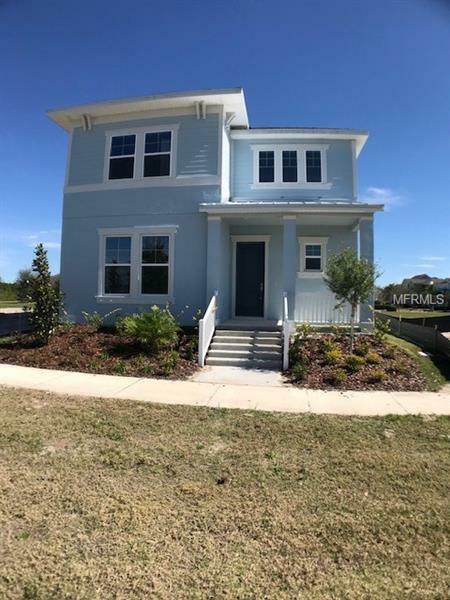 Osprey is a great size two story home. The first floor features a prominent family room, with optional applied molding to define the space, that flows handsomely into the open kitchen area equipped with a center island as well as enough space for a sizeable dining table and not to forget a walk-in pantry big enough to store all your necessities. Off the cafÃ© area, where you could have your dining table, is a glass slider that exits out to the back lanai and off that adjacent wall is your entry in and out of your 3 car garage. One bedroom is found on the first floor off the foyer as you enter the home and is partnered conveniently next to the downstairs full bathroom. On the second level you first enter into the loft, which can be transformed into whatever space suits your lifestyle and the remainder of the bedrooms, bathrooms and laundry room. The master suite located in the back of the second level is unique having two ideal his and her walk-in closets and a luxurious master bath. MUST SEE!